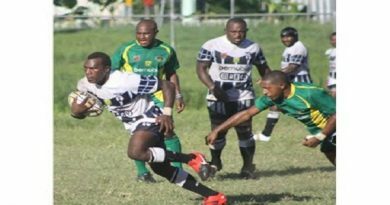 Fortuna Fresh Central Dabaris who locked horns on Sunday in their inaugural match against host, Kimbe Cutters have successfully started their season by winning their first game. With crowds gathered to witness the inaugural match, it was down to the wire as both teams locked horns. With Dabaris placing their hands on the ball, there was no turning back. Despite the strong defence and attack from Cutters, Dabaris banking on their techniques taught during training saw them stab through to score their first try in less than 10 minutes. Moments later a second try was scored bringing the score to 12 Nil. 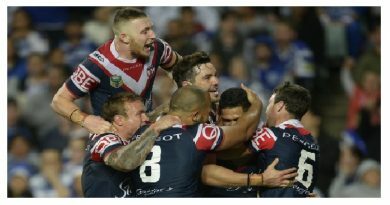 And soon after scored their third try all within 20 minutes of the first half. Half time score Dabaris 16 Cutters Nil. In the second half, Cutters came back strong with a home crowd advantage to score their first try. Dabaris in their second half didn’t seem to have a game plan, making it accessible for the Cutters who spotted the weak points attacking in full force to score their second and third try, bringing their score to 16 points. The remaining 20 minutes got very defensive as both teams attacked evenly, and despite Cutters home crowd advantage, Dabaris were able to steal one more try 15 minutes before full time. Full time score Dabaris 32 Cutters 16. Celebrations continued for the Dabaris after the match in Kimbe, were Kimbe based Central resident’s hosted dinner for the players and the Dabaris Board. The event continued with presentations of medals to the players, as well as gifts received by players and officials.